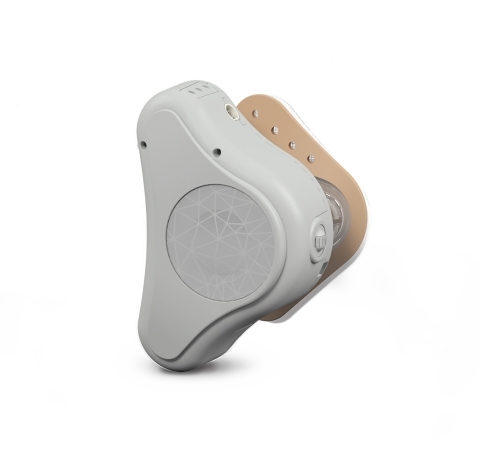 DURHAM, N.C.--(BUSINESS WIRE)-- MED-EL USA, a leading provider of hearing implant solutions, today announced that the U.S. Food and Drug Administration (FDA) has cleared the next generation of non-surgical bone conduction hearing technology: ADHEAR. This innovation is a non-surgical bone conduction solution for conductive hearing loss. Any problem in the outer or middle ear that prevents sound from being conducted properly is known as a conductive hearing loss. Conductive hearing loss may be temporary or permanent. ADHEAR is an excellent option for people with conductive hearing loss who are not candidates for, or who would not like to undergo, bone conduction implant surgery. It is also a treatment option for candidates with single-sided deafness and normal hearing on the contralateral side. MED-EL USA anticipates ADHEAR availability in Summer 2018. Trainings for hearing health professionals will be occurring throughout the country. Hearing centers and potential candidates can contact MED-EL at www.medel.com/us/adhear or (888) MED-EL-CI (633-3524) for more information. 1 Hearing Loss Association of America. Types, Causes and Treatment. Accessed December 18, 2017.